This occasional table is a great addition to any home. 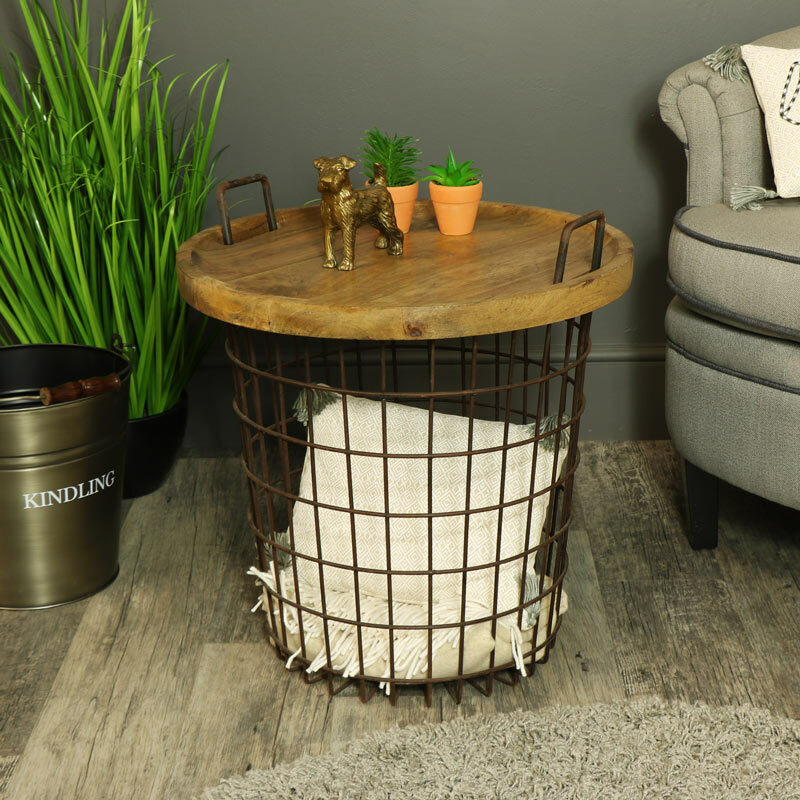 Basket style storage with wooden table top in a rustic, industrial theme that will suit modern, contemporary and country style interiors. Super sturdy design with handy basket storage that makes this table so versatile. Featuring a round natural wooden taop that can be used for display or as a unique coffee or lamp table. The perfect piece of furniture for homes that lack space or just need that extra bit of storage. This occasional table is a great addition to any home. 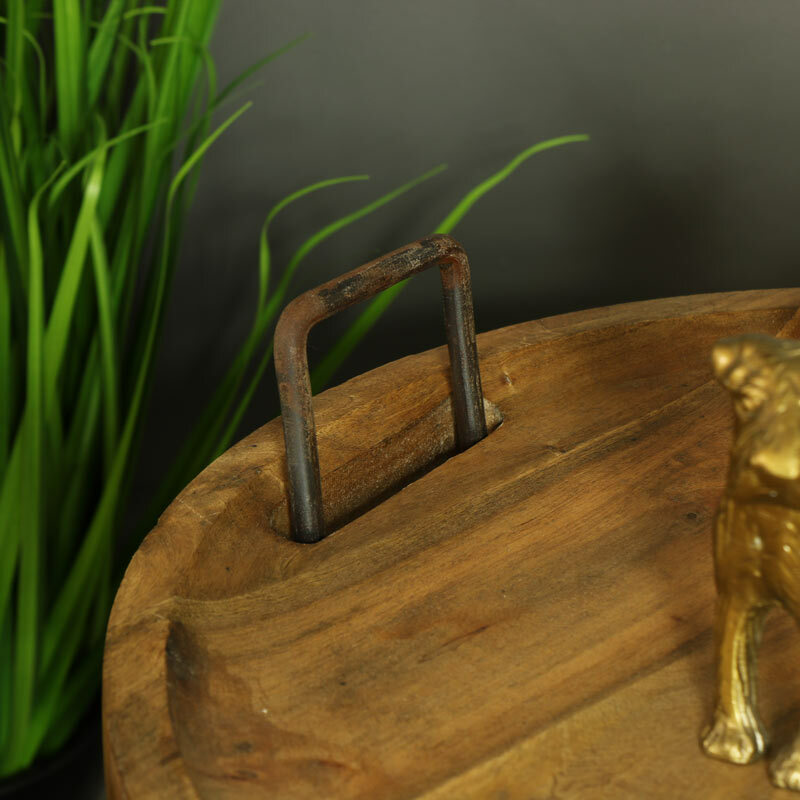 Basket style storage with wooden table top in a rustic, industrial theme that will suit modern, contemporary and country style interiors. Super sturdy design with handy basket storage that makes this table so versatile. Featuring a round natural wooden taop that can be used for display or as a unique coffee or lamp table. The perfect piece of furniture for homes that lack space or just need that extra bit of storage. 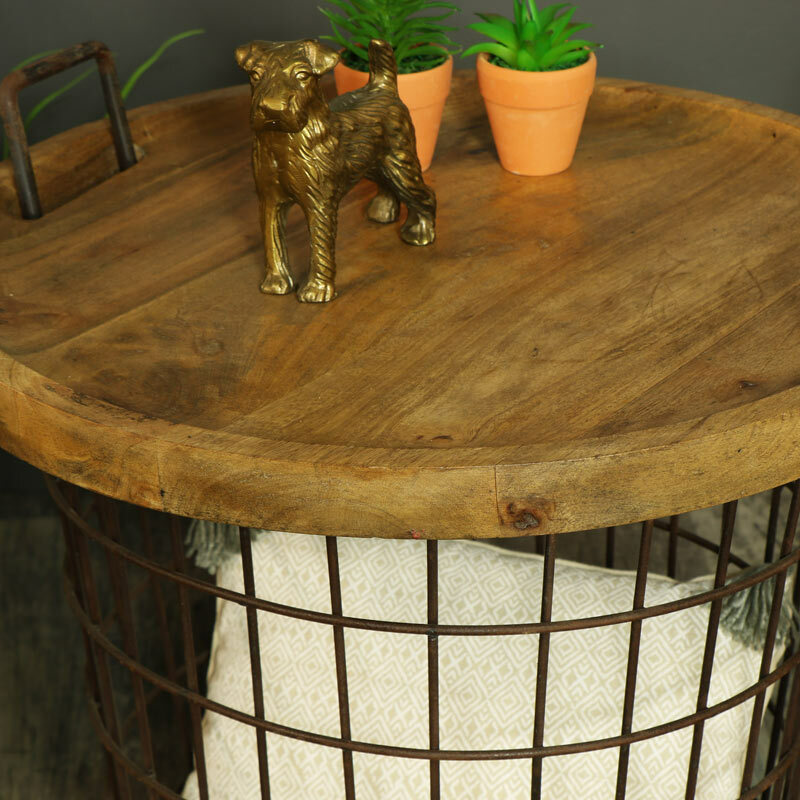 Wooden table top in a natural wood finish with rustic, rusty finished basket style base. The basket comes with 2 handles that fit through the table top to add extra sturdiness and allow you to easily pick up and mover to wherever needed. You can never have enough storage, which makes this table so perfect and just what you need! We have an extensive range of similar tables that will help you to add that extra little style to your home.